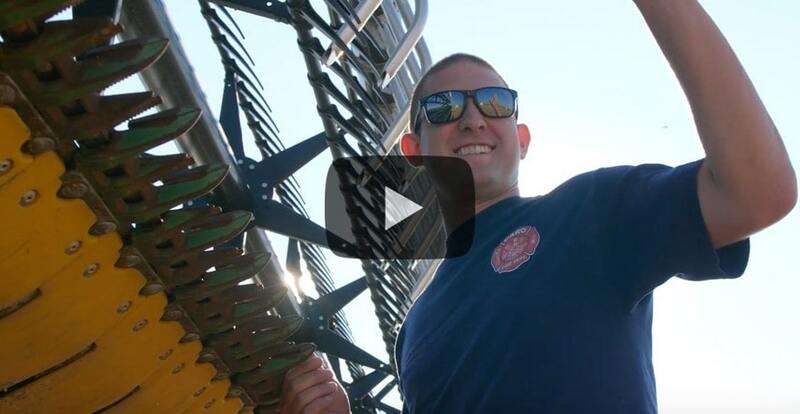 While it obviously takes a revenue stream to pay the bills at Farm Rescue, our organization relies heavily on the time and talents of others to succeed. From our "Angels in Blue" in the fields, who operate the farm machinery, to our behind-the-scenes graphic designers, Farm Rescue exists because of volunteers. And many have found unique ways to contribute to our organization. 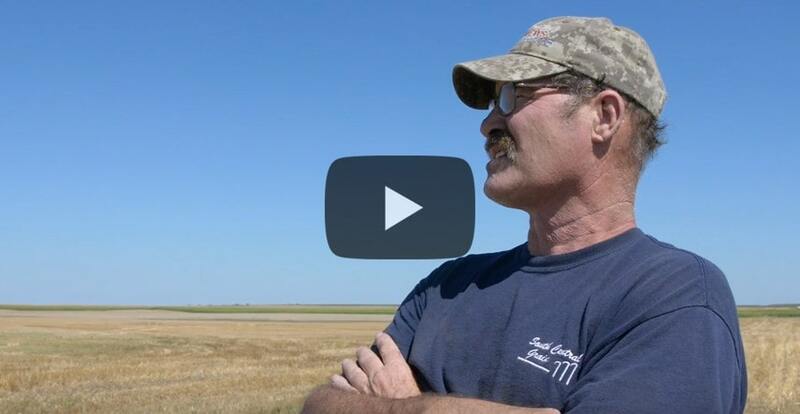 Here are a few ideas from our friends on how to be a Farm Rescuer! 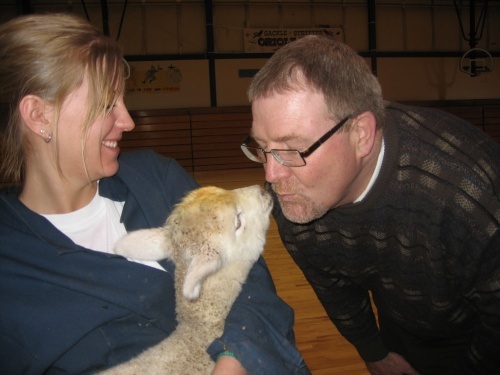 • Gackle-Streeter High School created the cute and cuddly “Kiss the Lamb Contest.” The person who gets the most votes gets to kiss a little lamb. FFA students raised $300 for Farm Rescue. 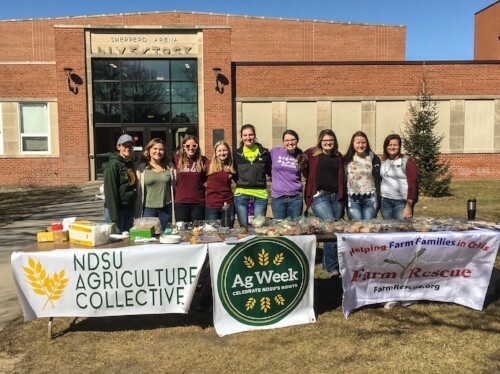 • The wonderful women of Sigma Alpha at NDSU host an annual bake sale during National Ag Week, with all proceeds benefiting Farm Rescue. 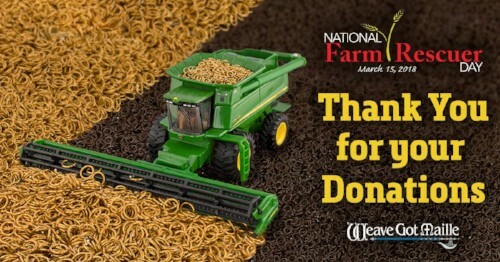 • "Weave Got Maille", an online craft store that specializes in retail chainmaille supplies, donated all sales to Farm Rescue during a 4-day stretch surrounding National Farm Rescuer Day. • NDSU Saddle and Sirloin Club hosts the Paddy Drop, which is quite possibly the craziest and most creative fundraising event ever! The floor of Shepperd Arena is divided into 1.5 x 1.5 foot squares that correspond to a number and letter on a grid. Raffle tickets are sold for each square. A dairy cow is released in the Arena. Wherever she lets her “paddy drop”, corresponds to a raffle ticket that was sold. • Farmers Union Collegiate Chapter of North Dakota State University raised funds from their Annual Charity Dodgeball Tournament. Twenty-nine teams of 6 players each compete for cash prizes of $100, $75, and $50. Businesses from around the Fargo-Moorhead community and around the state made contributions to the tournament. In return, their name was printed on the back of the tournament t-shirts. Each team registered by the deadline received a free t-shirt for participating in the event. • One motorcycle enthusiast in New York state coordinated a Harley Davidson Benefit Run. 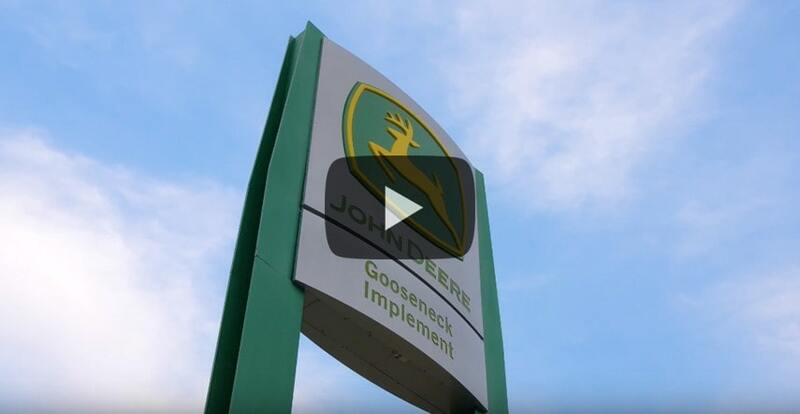 • Aetna Employee, Lisa Goetz raised money for Farm Rescue with a front-row parking space at her office building. A drawing was held for the ownership of the great parking spot. For every dollar each person contributed, his or her name was placed in the drawing. 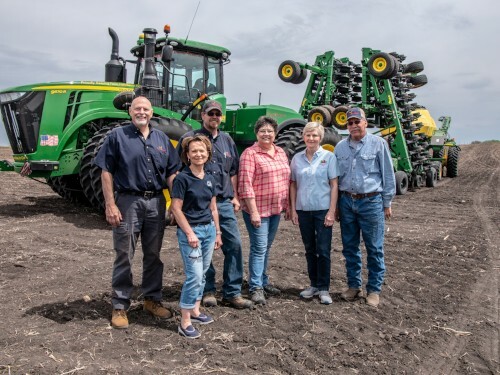 • Quentin and Renee Overbeck raised funds for farm families on their wedding day. This generous couple forwarded donations from friends and family to Farm Rescue. • Driscoll Grace Lutheran Church and Thrivent Financial put the “fun” in fundraiser with their chili and pie contest. Grace Lutheran Church raised money with their event and Thrivent Financial matched their funds. Together, they raised $1,559.55. • BNC raised $82.00 for Farm Rescue through Casual Days. Employees donated $1 to dress casual for the day. • First Presbyterian Church in Breckenridge, Minnesota had the help of little hands to donate funds to Farm Rescue. The children collected donations through Vacation Bible School. • 8-year-old Colby is a little guy with a big heart. He wanted people to donate to Farm Rescue for his birthday. He made a fancy birthday donation box and raised $220! • "Denim and More" donated beautiful handmade quilts, aprons and dresses for the silent auction at our annual Farm Rescue banquet. Let your creative juices flow when it comes to donating to Farm Rescue... the sky is truly the limit!